Exploring Blair Castle, one of Scotland’s finest, and the beautiful Atholl Estate. Visiting the fascinating historic sites at the Pass of Killiecrankie and Loch Tay. Enjoying the warm highland hospitality and delicious local produce in your carefully selected hotels, inns and guesthouses. Discovering the secrets behind whisky making at The Edradour Distillery. Walking through the wonderful highland scenery of the Tay River Valley. Highland Perthshire is the Scotland you dream of, turreted castles framed by hills of purple heather, clear streams, dark tree lined lochs, kilted private armies and whisky distilleries. Varied walks immerse you in the fabric of the landscape. Explore beautifully manicured highland estates, wild woodland bursting with plant and animal life, tranquil loch and riverside walks and wide open moorland with endless views. 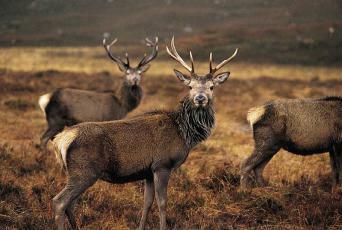 Enjoy the warm highland hospitality and delicious local produce in your carefully selected hotels, inns and guesthouses. Discovering the secrets behind whisky making at The Edradour Distillery and walking through the wonderful highland scenery of the Tay River Valley will make for a memorable walking holiday. We look forward to welcoming you to the Highlands of Scotland soon. Blair Atholl offers real highland hospitality, beautiful scenery, a rich history and plenty to do and is easily accessed from Edinburgh and Glasgow. The Atholl Arms Hotel always offers a warm welcome and after checking in you may wish to enjoy a stroll through Atholl Estates, or simply relax and enjoy the fine food and hospitality. The Atholl Arms is a really traditional highland hotel, big on heritage and hospitality. Fresh local produce is a speciality and a dedicated team of chefs have built an enviable reputation for delicious traditional specialities. Discovery Day: The area surrounding Blair Atholl is an amazing part of Scotland and you have an entire day to enjoy the delights of this truly special part of the country. 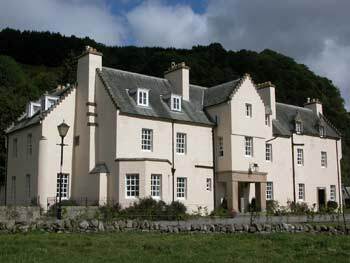 Blair Castle is opposite your hotel and the imposing white façade dominates the area. It is home to the Atholl Highlanders, one of Europe’s last private armies and exploring the castle and grounds will keep you enthralled for hours. The afternoon is best spent exploring one of the many waymarked tracks available on Atholl Estates, although you can choose from several walks which we provide including challenging hill walks or gentle river strolls. 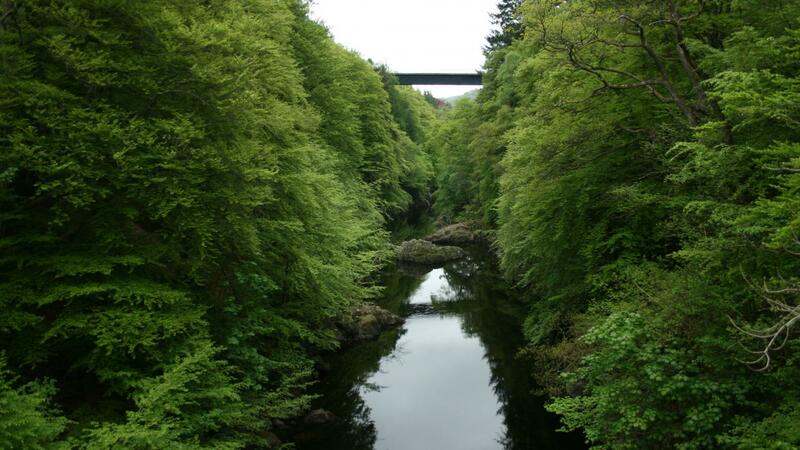 Start your journey with a relaxed walk on riverside paths to Killiecrankie, site of the first battle of the Jacobite victory and home of the unbelievable “Soldiers Leap”. From Killiecrankie you have the choice of three equally appealing routes to Moulin or Pitlochry, by mountain, moor or river. Moulin is a tiny village to the north of Pitlochry nestled on the slopes of Ben Vrackie. 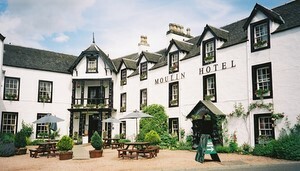 The Moulin Hotel is a delightful haven of Scottish Hospitality and has been welcoming travellers since 1695. This quite superb, rather romantic inn blends old world highland hospitality with the comforts and service of a modern hotel. The hotel also boasts its own micro brewery whose traditional beers perfectly complement the hearty highland fayre. Pitlochry is a bustling town that first become popular in Victorian times and continues to be enormously popular with visitors. Enjoy a leisurely walk from your hotel in Moulin that takes in all the attractions including Edradour Distillery, Loch Faskally, The Festival Theatre, the Fish Ladder and Pitlochry High Street. 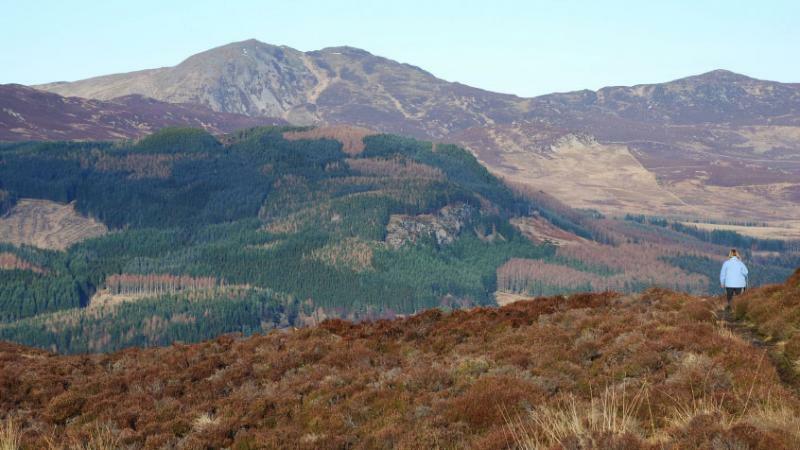 Alternatively if you are feeling more energetic you may wish to tackle Ben Vrackie, the highest hill in the area which is sure to reward your efforts with fantastic views in all directions. 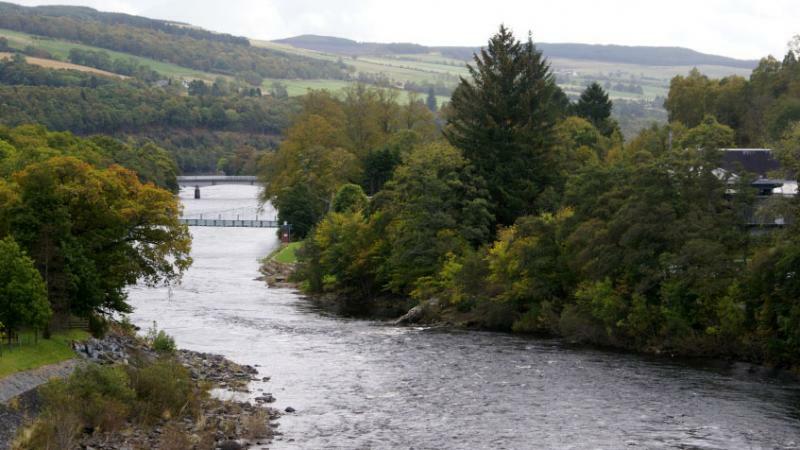 As you leave Pitlochry you climb the watershed between the Tummel and Tay Rivers and the resulting views are breathtaking – Scotland at its very finest! Once the initial climb is over you will enjoy a relaxed descent towards the River Tay and Aberfeldy. 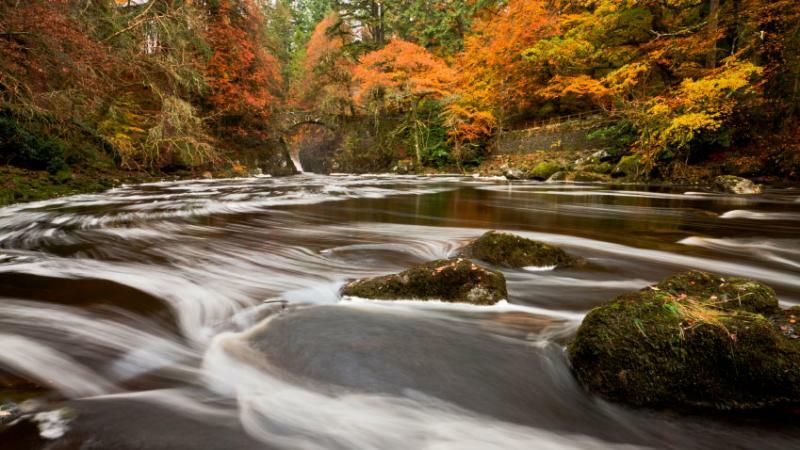 The River Tay is Scotland’s Largest River and is world renowned for its outstanding salmon fishing, although anglers now share the river with an increasing number of white water rafters and kayakers. You cross the River Tay by way of Wades Bridge just before arriving in Aberfeldy, a small market town nestled on the banks of the River Tay and home to one of Scotland’s best tea shops. 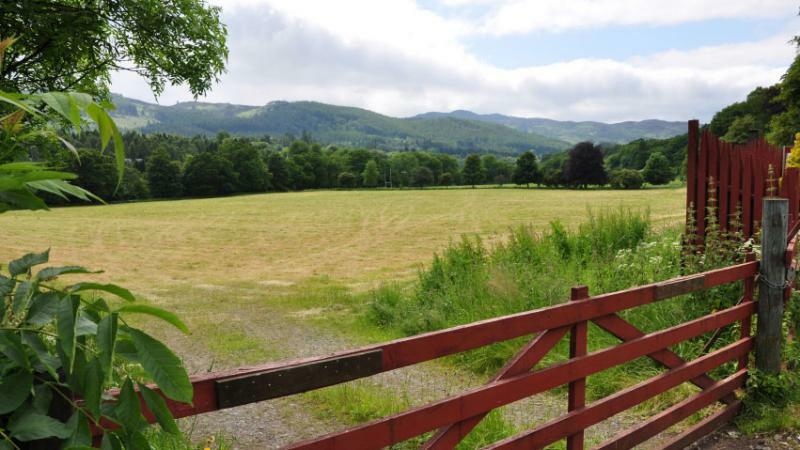 Balnearn House is a delightful guest house located in Aberfeldy. Claire and Mark Dimmock welcome you to their comfortable home where comfort and a friendly atmosphere are a top priority. The house was built in 1900 and boasts open log fires and beautiful views over a much loved garden. Claire and Mark will be happy to book you into a nearby restaurant for dinner. Your days walk starts in spectacular fashion as you climb a good path parallel to the Birks of Aberfeldy, a deep gorge and series of waterfalls that is particularly impressive after heavy rain. 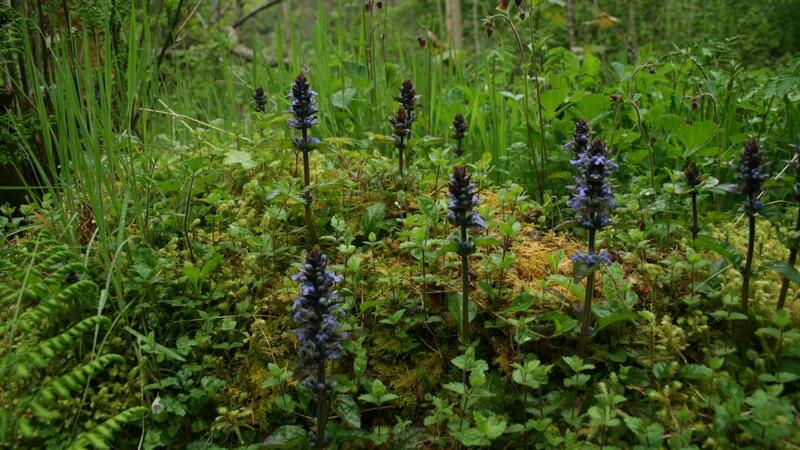 The remainder of the day is spent in woodland, the native woodland being a particularly good habitat for wildlife and birds so keep your eyes and ears open. You should also start to glimpse the expanse of Loch Tay as the end of the days walk draws near in Kenmore. 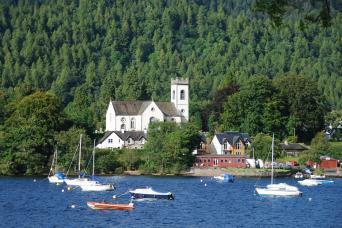 Kenmore is a small highland community nestled on the banks of the River Tay where it flows from Loch Tay. The main street is dominated by the gates of Taymouth Castle which is now home to an exclusive golf club. The Crannog Centre is a mile west of the village and offers a fascinating insight into the life of iron age Scots. The Kenmore Hotel was founded on the 3rd of November 1572 and claims to be Scotland’s oldest hotel. 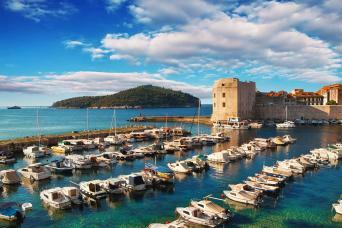 A beautiful setting and historical location offer a touch of paradise unspoiled by time. Rooms, restaurants and bars offer superb views of the mountains and river. The restaurant boasts innovative Scottish Cuisine combined with new world delicacies; all enjoyed overlooking the River Tay. Choose one of several routes as you head ever deeper into the Scottish Highlands as you walk over or around Drummond Hill to Fortingall. As you leave Kenmore and enjoy the expansive vistas over Loch Tay you can’t help but be inspired by the beauty and timelessness of the landscape. Fortingall is famous for having the oldest tree in Scotland and reputedly the birth place of Pontius Pilate - the son of a Roman Legionary and a local Girl - the Yew Tree in the Churchyard would have been there at that time! I am sure that you will have time to learn all about it. Fortingall is known as one of the prettiest villages in Scotland and was designed by James Marjorybanks McLaren, who taught Chares Rennie Mackintosh. The Fortingall is a special treat, a luxurious highland hotel at the centre of the conservation village of Fortingall which offers luxury country house style rooms. The accommodation is perfectly complemented by delicious food sourced locally and beautifully prepared and presented. A dramatic and challenging days walking to end your highland journey on a high note. Your route takes you through the remote highland glen that joins Fortingall and Kinloch Rannoch, an ancient right of way that is still used today. The towering bulk of Schiehallion dominates through most of the day and provides a fitting background to what has been an inspiring journey through the heart of Scotland. 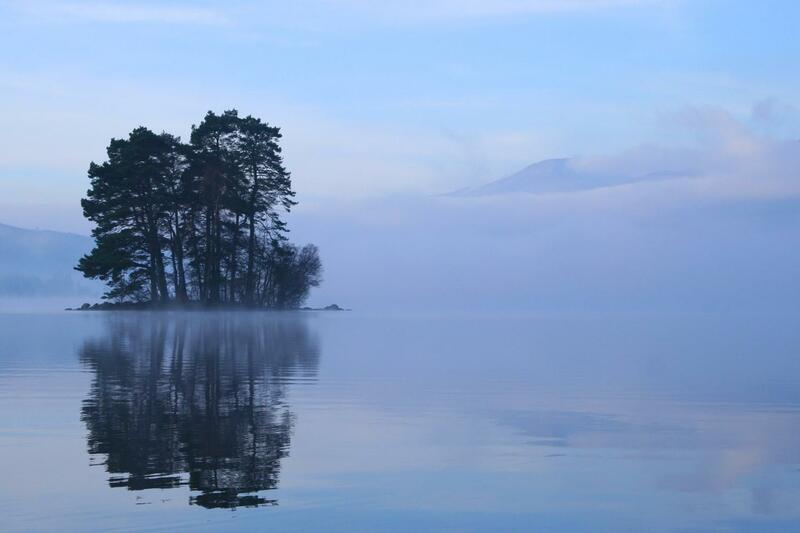 Kinloch Rannoch is a small and isolated village, take time to relax and enjoy the spectacular views of Schiehallion. 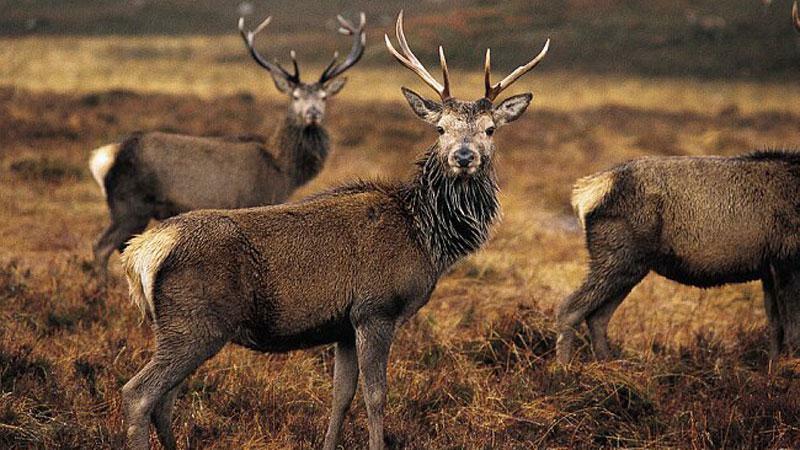 Bunrannoch House is an old hunting lodge situated in woodland on the outskirts of Kinloch Rannoch and enjoys high level views of Loch Rannoch and the surrounding mountains. Bunrannoch House is well known locally for its warm hospitality and fine menu sourced from local suppliers and lovingly prepared. It provides a haven of tranquillity and is the ideal base to relax and take time out from modern life. One of the highlights of this walking holiday is the very high standard of the accommodation you will enjoy. The hotels and guesthouses we use are hand-picked to ensure that you enjoy every minute of your stay. All offer a warm welcome to walkers, traditional hospitality and delicious local food. We do recommend that you book this trip early as the area is always popular and the hotels and inns do fill up early, especially in high season. You will find descriptions, photos and weblinks to the accommodation that we strive to use for the trip below. This independent walking holiday is available to solo walkers but as all our holidays are priced per person based on two sharing there is a single supplement payable to cover the additional costs we incur. If you require single rooms within your party we will of course try to accommodate your request subject to availability. Please note that singles may not be of the same standard as twins. The Atholl Arms is a really traditional highland hotel, big on heritage and hospitality. A delightful Haven of authentic Scottish highland hospitality since 1695 , The Moulin Hotel embraces a warm and welcoming world of peace, tranquillity and traditional Scottish hospitality. Balnearn is a Victorian- style property set within approximately three-quarters of an acre of grounds. The Fortingall Hotel nestles in the middle of the historic Arts and Crafts village of Fortingall, hugging the contours of the hill at the foot of beautiful Glen Lyon in Highland Perthshire. Traditionally April/May has always been the most popular time of year because the theory goes that the weather is better and the midges have not yet appeared. Although having walked the trail in every summer month we believe any time between late March and October offers a wonderful experience. The weather in Scotland is unpredictable all year, so it is imperative to be prepared for wind, rain, cold, warmth and sunshine! Conditions (and forecasts) can vary substantially from one day to the next, so do anticipate a variety of weathers, and embrace them as the Scots do (with a good waterproof and windproof jacket on). This independent walking holiday is available to solo walkers but as all our holidays are priced per person based on two sharing there is a single supplement payable to cover the additional costs we incur. If you require single rooms within your party we will, of course, try to accommodate your request subject to availability. Please note that singles may not be of the same standard as twins. This walk is graded easy to moderate and includes daily walking between 5-13 miles following good tracks and paths over undulating terrain for at least 6 to 7 hours. You should have a good level of walking fitness to get the most from this tour. Much of the walk is not way-marked however you will be supplied with turn by turn route notes and detailed maps so you will have no problem following the route each day. 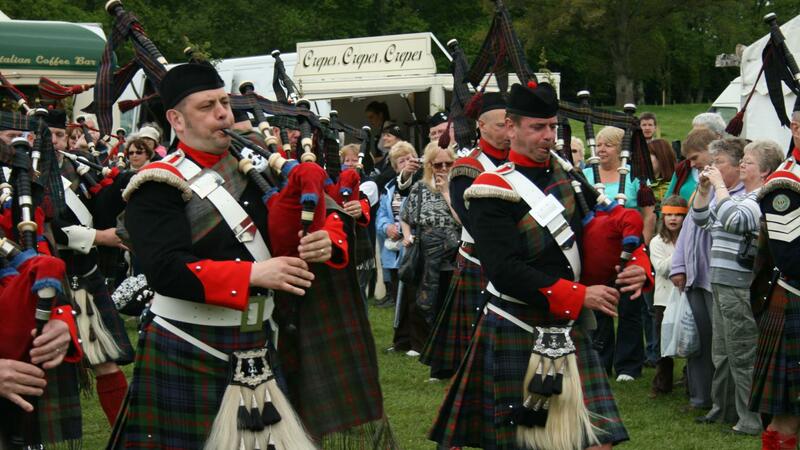 Blair Atholl is 80 miles north of Edinburgh on the main transport route through the highlands. By car the journey from Edinburgh takes 1.5 hours and Blair Atholl is well signed from the A9. The village also has excellent public transport connections and is served by First Scotrail trains and Citylink Bus services from Glasgow/Edinburgh to Inverness. Despite its remoteness Kinloch Rannoch is well served by public transport. Broons Buses and Taxis run to Rannoch Station (Trains to Glasgow and Fort William/Mallaig) and Pitlochry (Trains/buses to Inverness/Glasgow/Edinburgh/Blair Atholl). Hand picked bed and breakfast accommodation in ensuite rooms wherever possible. A detailed info pack, route notes and maps. Single room or solo walker supplement. Return taxi transfer from Kinloch Rannoch to Blair Atholl. Planning a trip on the Highland Perthshire Trail can be daunting, especially if this is your first long distance walking holiday. We are often asked the following questions and I hope that you will find the answers useful. At 55 Miles the Highland Perthshire Trail is a fair distance and the higher your level of fitness the more you will enjoy the experience. Most of our itineraries involve between 5 to 8 hours walking daily so you should be comfortable walking on good tracks and paths over undulating terrain for at least 6 to 7 hours. If you currently don’t enjoy that level of fitness regular walking in hilly terrain supplemented by cardio vascular exercise for at least 6 months prior to your walk is recommended. A good gym or personal trainer will be able to draw up a personalised training programme. We suggest you book as soon as your plans are finalised as the Highland Perthshire Trail is extremely popular especially over April/May and July/August. You will find up to date availability on our website and we will always try and accommodate your plans. Traditionally April/May has always been the most popular time of year because the theory goes that the weather is better and the midges have not yet appeared. Although having walked the trail in every summer month I believe any time between late March and October offers a wonderful experience. This was a family vacation with our 2 grown daughters (20 and 22 yrs old) and everyone loved it! Our first walking adventure and now we hope to do more. We lucked out with weather and had sunshine all but one day which is unusual for Scotland. The diversity in the places we stayed were great, all around service and daily breakfasts were top notch. Only frustration was route notes and lack of markings at Drummond Hill. We spent the majority of that day going round and round and just being frustrated. All other walks were fantastic! We did 60 miles in 5 days. The accommodations exceeded our expectations. Food was good at the end of the day. This was our first walking vacation. Ours was self guided. I would have preferred around 4 miles walking, then a town or sight seeing with a lunch place, and then 4 miles more in the afternoon. Giving us more time to explore the day"s destination. Guess we needed a GPS tracker as we often exceeded the day's mileage. Weather was exceptionally good. Stunning scenery, well organised walking. This was a most enjoyable week. The introduction of two days spent at Blair Atholl and Pitlockery allowed us to explore those areas which enhanced the week so that it was not focused solely on walking. The accommodation was of a high standard with the exception of the Kenmore Hotel which was disappointing. Way marking in Scotland is limited so some map reading skills are necessary which was not a problem for us. One section of the walk - Kenmore to Fortingall - was particularly challenging due to the closure of footpaths due to logging work. Macs may wish to look at this for future reference. This was a great week and once again Macs have come up trumps. Many thanks. The B&Bs and small hotels were excellent, the food was superlative, and the walks were wonderful. Unfortunately, the level of service provided by MACs was not up the standard we have experienced on previous self guided tours with MACs. The first page of the 4 paged map print out was missing and, despite numerous emails to MACs requesting the missing page, was never forthcoming. In several places the route marked on the map did not map the route described in several places in the route notes. Also the 1:50K scale printout lacked a lot of detail. We gave up on the MACs map and used the UK Ordnance Survey maps which I think should have been provided. MACs also neglected to pay one of the hotels which caused a bit of embarrassment upon checkout. Also the mileage reported each day by my Garmin satnav always was greater than the estimate in the route notes by several miles. I was a solo, female traveller and felt very safe, taken care of. The baggage transfer went well and communication with all parties was good. On the last walking day, I was able to use the transfer taxi to take me to Innerwick, the starting point for the alternative trail. The scenery overall was beautiful, I had lots of social interaction and the walk was the perfect level of challenge for me. This was one of the most wonderful vacations I have ever had. Macsadventures was soooo helpful, responsive, organized, and welcoming of all of our needs. The countryside is GORGEOUS. The accomodations wonderful. The people of Scotland so very friendsly. I cannot recommend this highly enough. I will gladly return to Scotland and/or participate in another trip organized by Macsadventures. We thoroughly enjoyed this holiday - great accommodation & the difficulty rating was well suited to our expectations. We added an extra night at Aberfeldy & Kinloch Rannoch which allowed us more time to explore the area & made the trip more relaxing. My sons and I had a wonderful time. One of the great family trip we took. The walks were beautiful. Fun enough for my sons and not too challenging for their less fit mother. 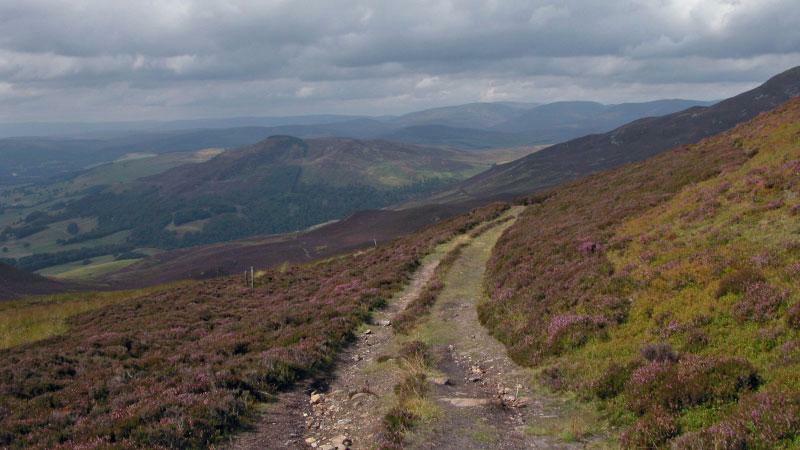 This wonderful walk is a relaxed way of exploring the Scottish Highlands. Staying in superb accommodation along the way it will make you appreciate the natural beauty of this area.